This is your typical “common” capensis. 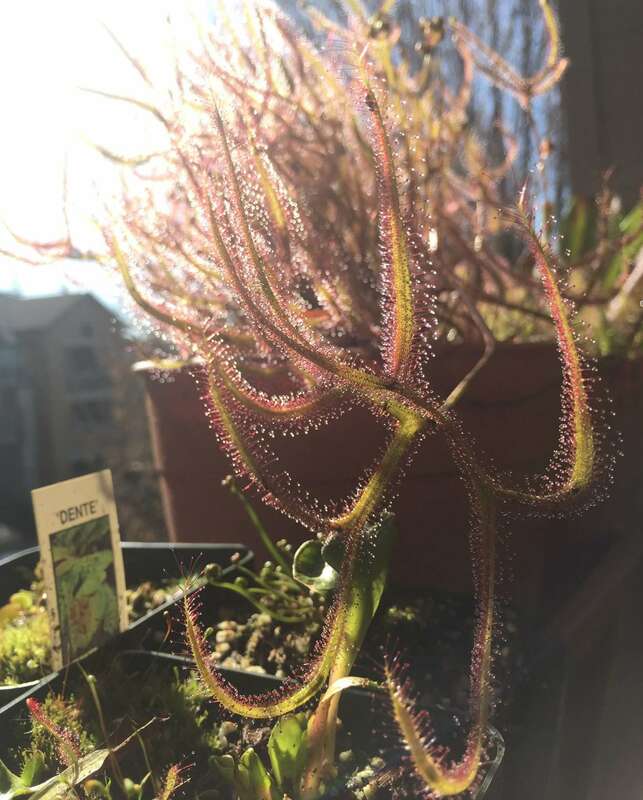 Drosera capensis ‘Narrow Leaf’ is an incredibly hearty sundew that I have found hard to kill even through repeated neglect. That said, it’s a beautiful and fascinating plant that comes from South Africa. 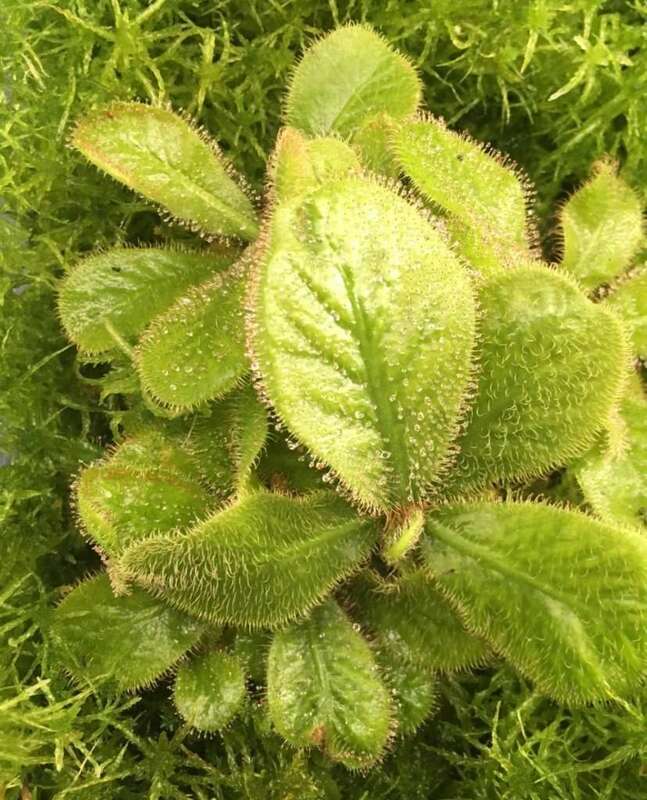 While referred to as ‘Narrow Leaf,’ this plant has typically-widthed leaves when compared to most capensis, with the exception of our wide-leafed friend. Leaves frequently fold over or curl around prey to increase contact with an unfortunate insect and extract maximum nutritional value from it. Plants are about 6 to 8 inches (152 to 203 mm) in diameter, and have a voracious appetite for flying insects like gnats and crane flies. Flowers of this capensis variety are a beautiful shade of pink, and produce lots and lots and lots of seed atop the end of a 1 to 2 foot (0.3-0.6 m) stalk. 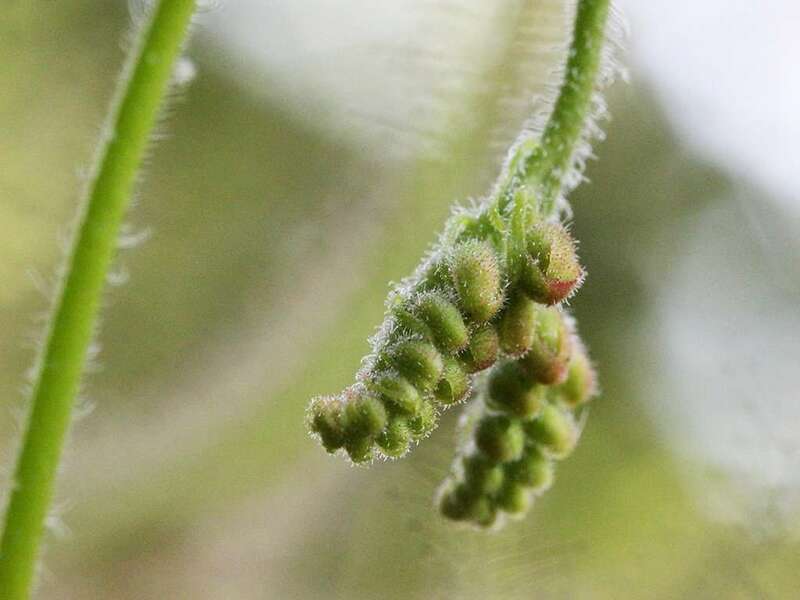 If the normal seed amount weren’t enough, the plants commonly send up double-headed flowering stalks with two sets of flower buds that bloom in tandem and double the amount of seed produced. Plants will flower themselves to exhaustion, so if you’d prefer larger carnivorous leaves, consider cutting off the stalks as they form. Plants can also be easily propagated via leaf and roots cuttings. 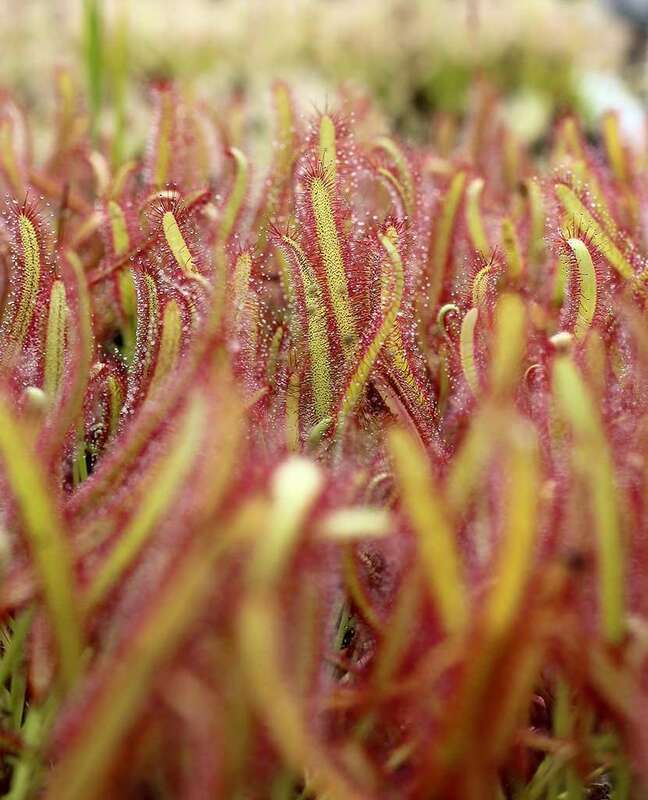 The heartiness and propensity to rapidly reproduce make this an ideal beginner’s carnivorous plant! 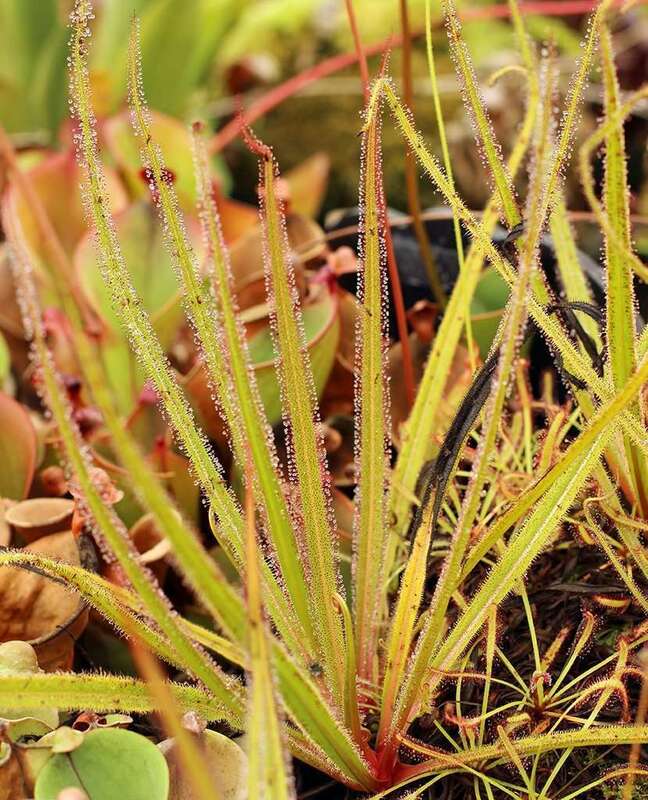 You'll fall in love with the heart-leafed sundew, Drosera schizandra! That is, if you can figure out how to keep it happy... 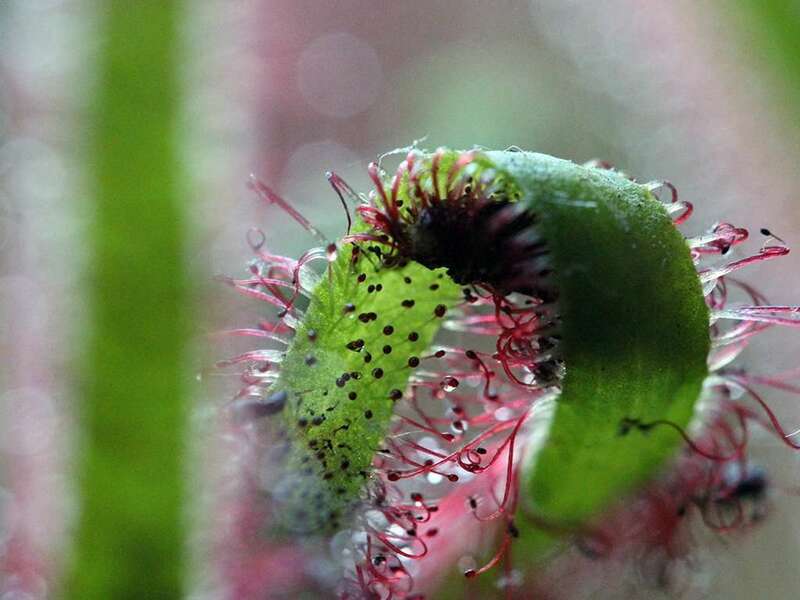 It is a beautiful and unusual specimen, and one of the few carnivorous plants that grows on the rainforest floor! 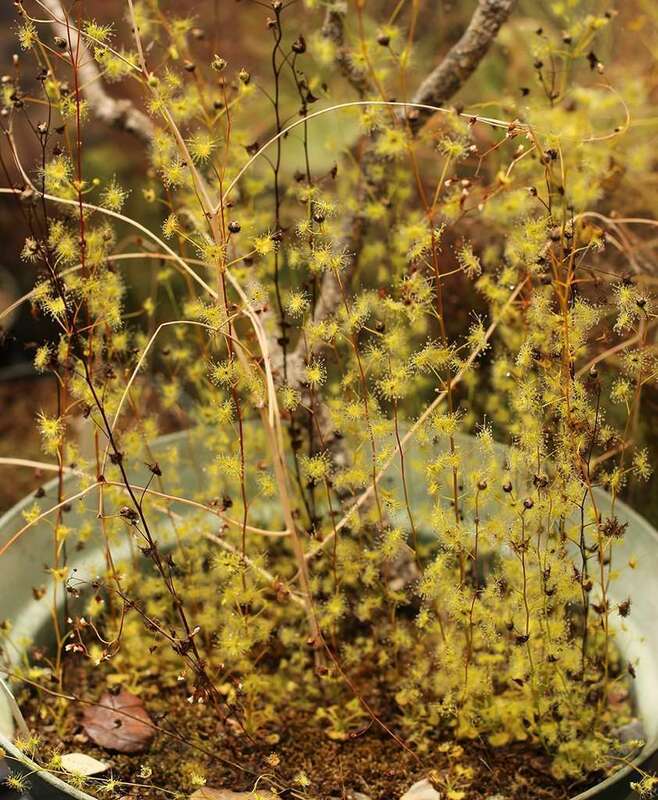 I'm not sure why this sundew isn't more common in collections; it's literally named for its spectacular ability to proliferate. 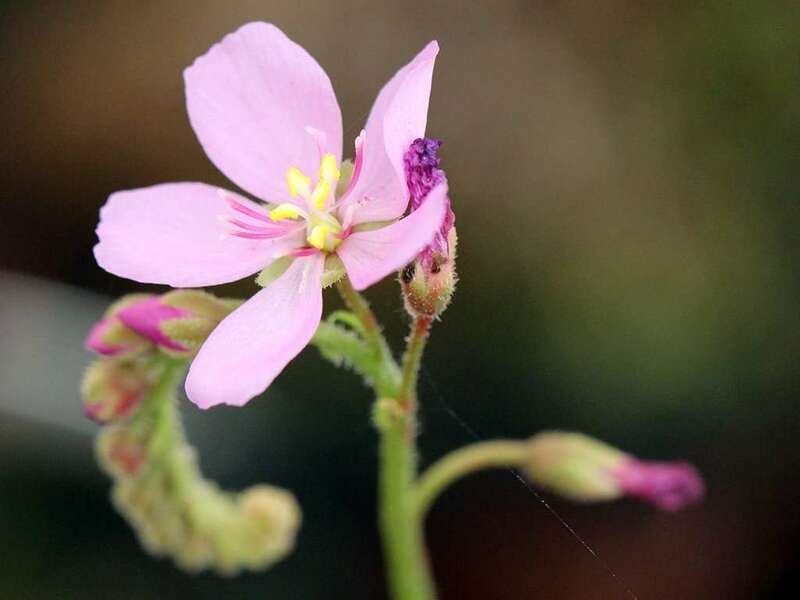 Along with Drosera adelae and Drosera schizandra, it is one of the “Three Sisters from Queensland” as coined by Peter D'Amato in The Savage Garden. 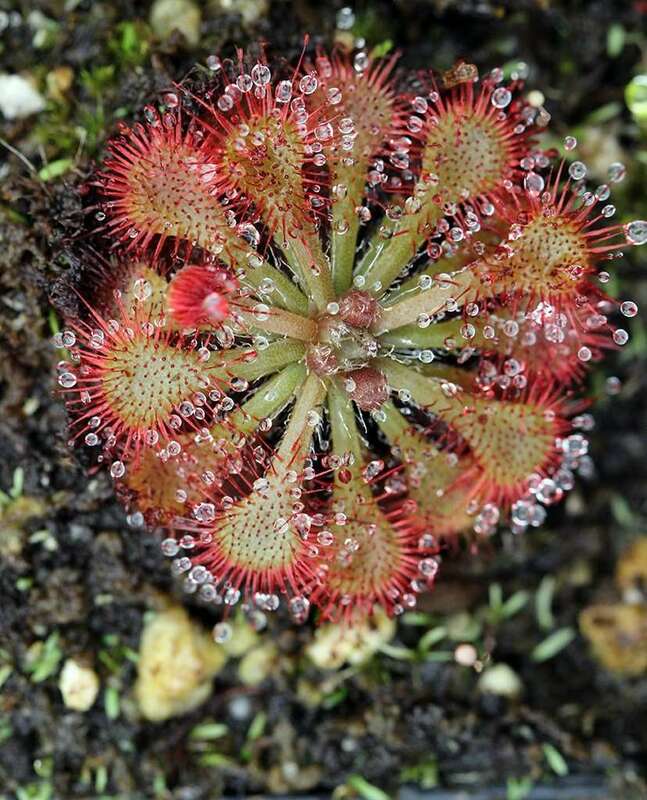 Drosera adelae is one queen from Queensland that can be a crown jewel in any collection. It's quick to grow, quick to self-propagate, and produces dew like it's going out of style. 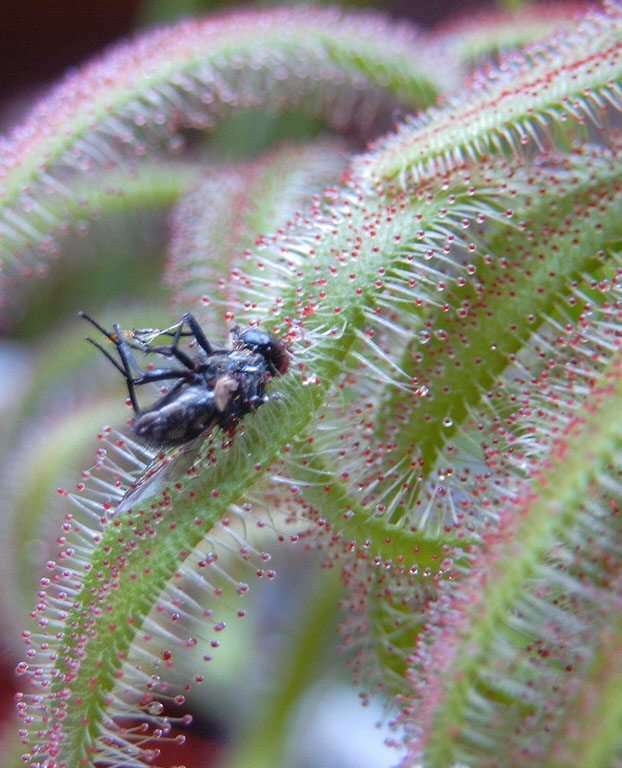 I've heard Drosera filiformis referred to as nature's anti-aircraft gun for its ability to snipe flying insects out of the air. 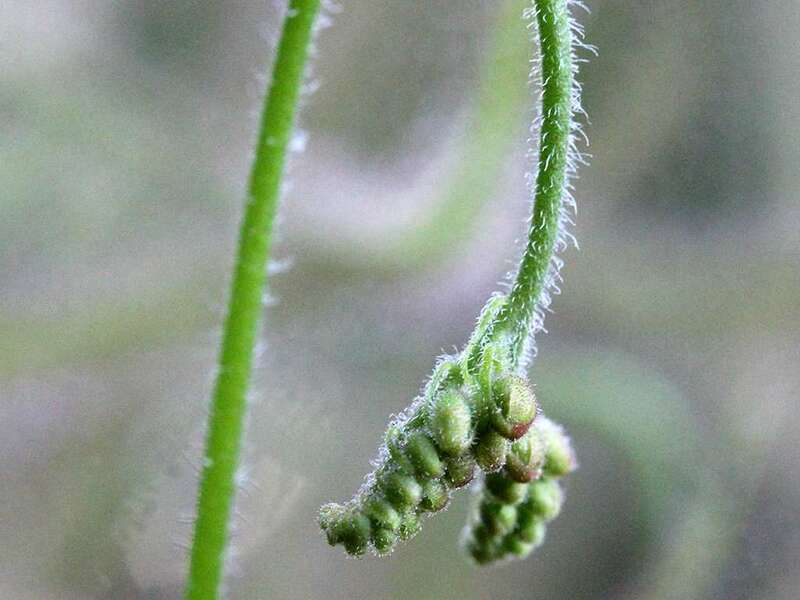 It's more commonly called the thread-leaved sundew due to its slender, filamentous leaves that reach towards the sky in an effort to tempt low-altitude insects into taking a detour to Sticky Town. 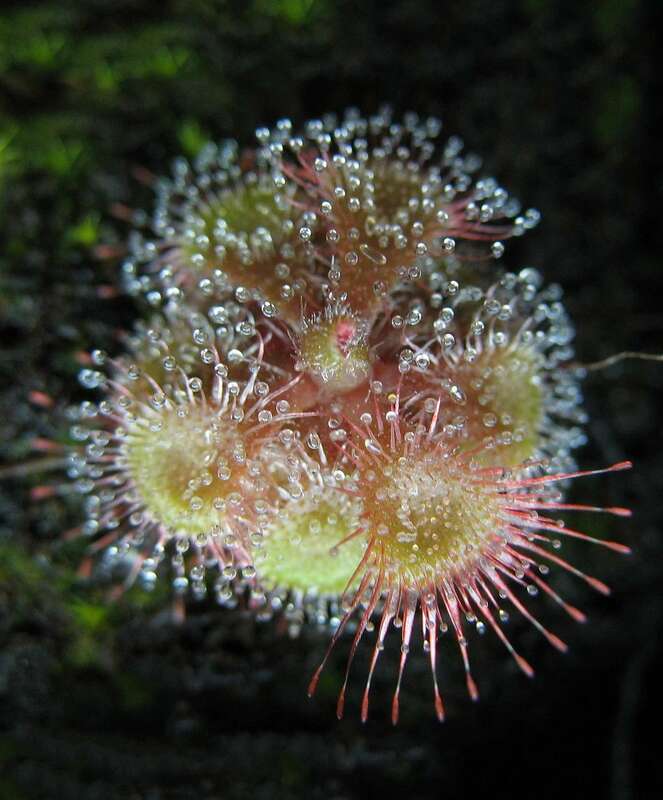 "The giant sundew," indeed! 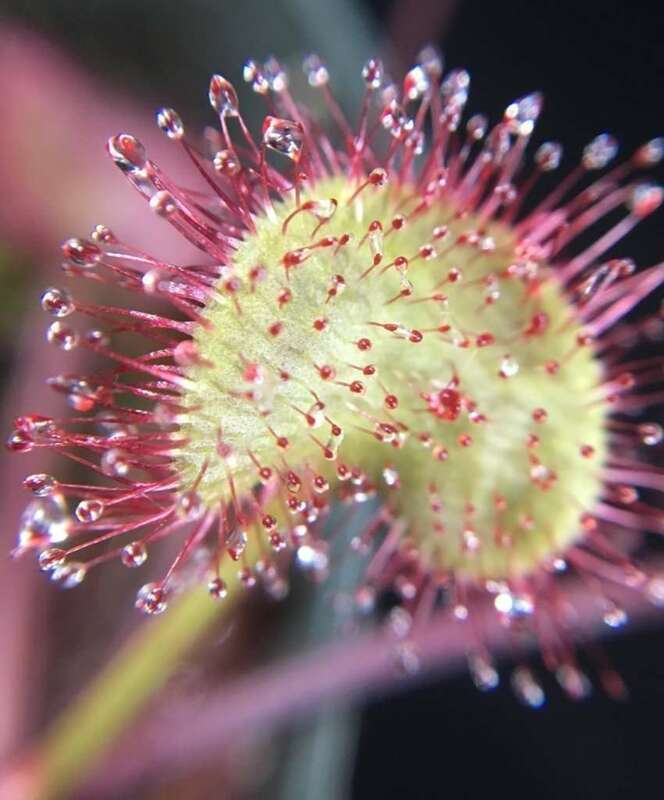 This erect perennial tuberous sundew is one of the largest 'dews around, growing up to 3 feet (0.9 m) in height and branching like a carnivorous tree. Neat. 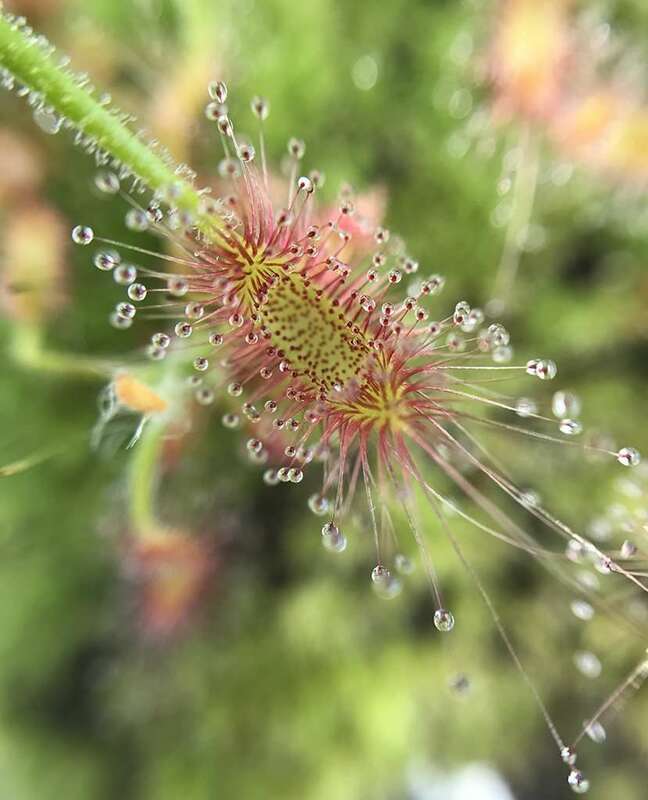 With 2 foot (0.6 m) leaves the King Sundew, Drosera regia, has earned its grandiose name. It is an archaic species and one of the oldest to survive to modern times. 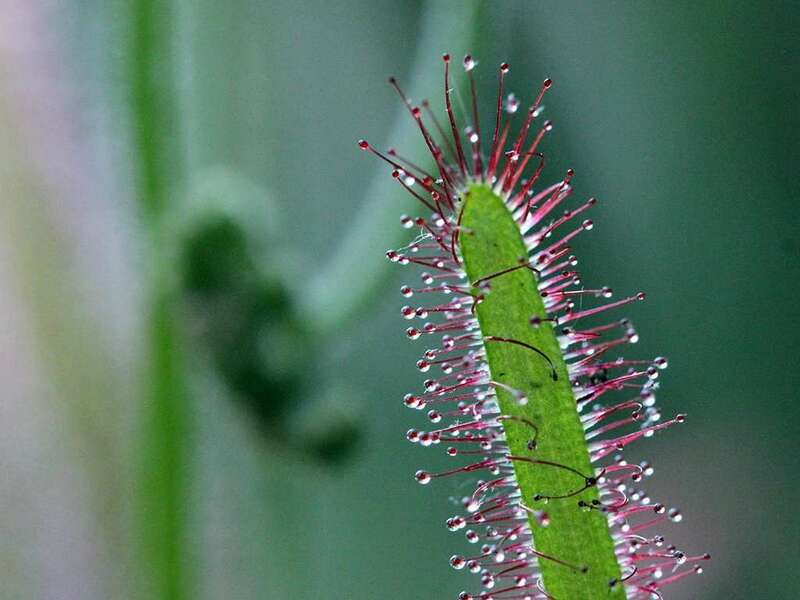 known as the spoon-leaved sundew because of its' wee spoon-shaped leaves. The Latin name literally translates to "spatula shaped." One may look like teaspoons, another soup spoons... you get the idea. 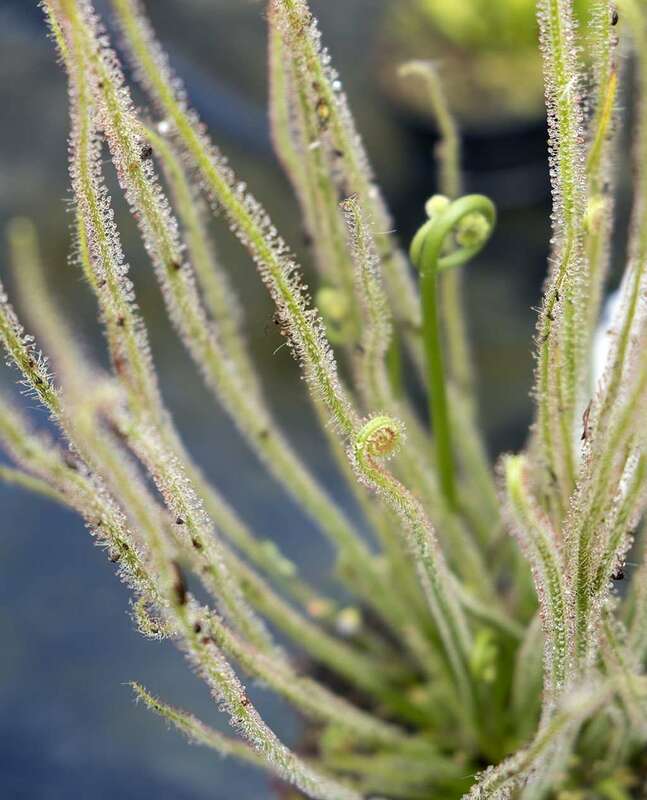 A monster of a forked sundew, D. binata dichotoma 'Giant' generates forked sundew leaves up to two feet long with four to twelve forks. Since individual leaves fan out from the central growth point, you can end up with 4 foot sundews! 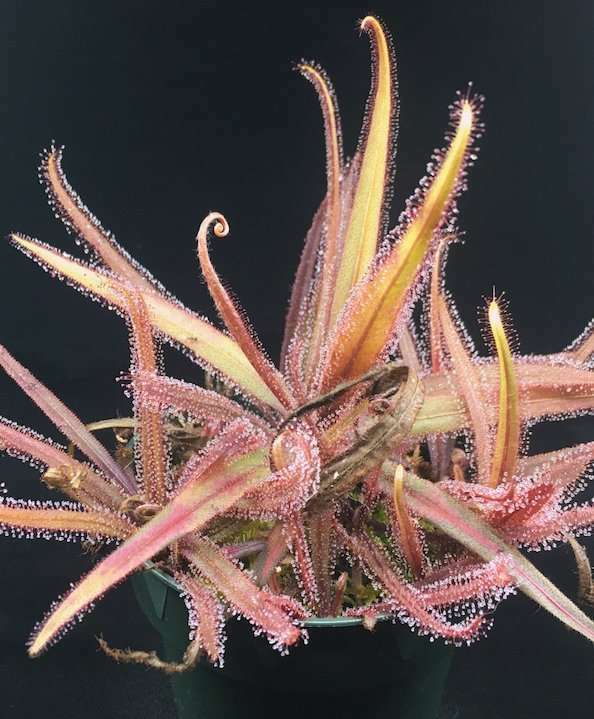 Cape Sundews hail from South Africa, and are some of the heartiest Drosera around. They're easy to grow, producing bountiful flowers atop long flower stalks and thousands of seeds - often becoming weeds growing amongst your other carnivores.